:: NikG* Life + Style ::: Quick "Updo"
So I stumbled upon this "updo" on Pinterest (yes, another social networking-esq site for us all to get hooked on), and thought I'd try to recreate it. I actually liked it and wore my hair like this for the rest of the day. 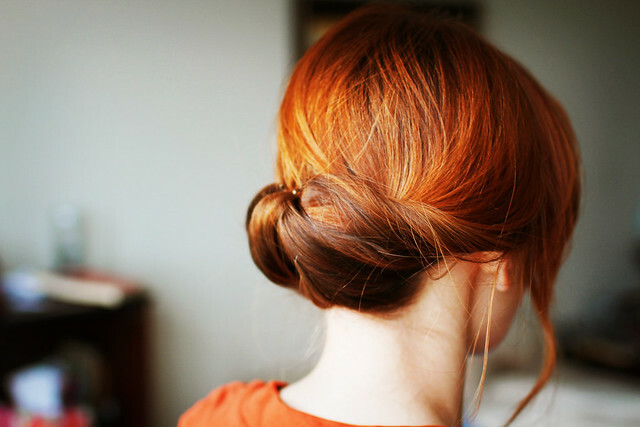 It is very similar to what us girls who have been on the hair boards call the "SouthernTease bun". That is beautiful! I think I like it better than the Southern Tease bun, but its nice to have both in the arsenal. Thx! thats a very pretty hair style...i'll have to try it out.